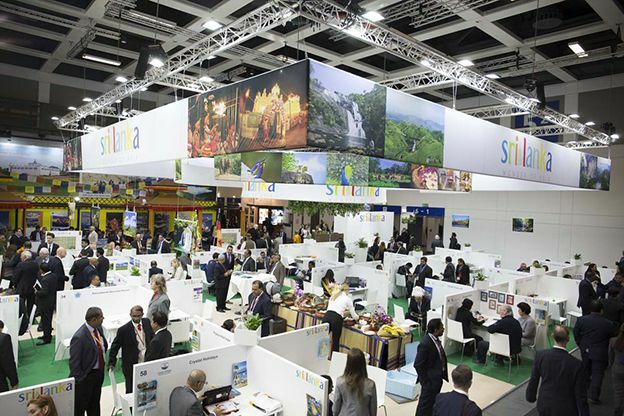 Destination Sri Lanka was a hot favourite at the world’s leading travel and trade show ITB which opened in Berlin, Germany on 7th March. The event which concluded on the 11th is the largest global tourism platform connecting more than 180 countries with thousands of potential buyers from all parts of the globe. Although news of the events in Kandy over the past few days overshadowed the grand opening of the Sri Lanka Pavilion, it did little to dampen the enthusiasm and interest of the thousands of visitors who have been flocking to the pavilion. 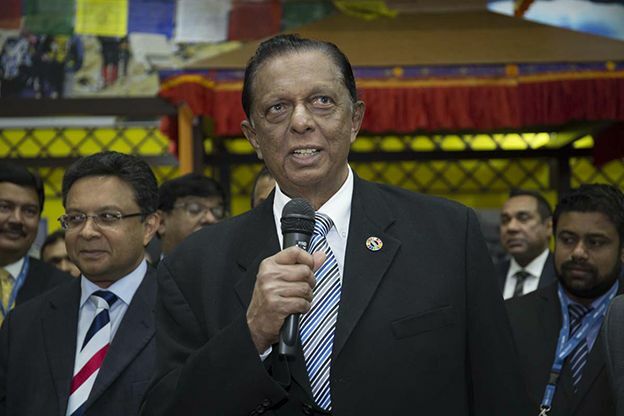 Minister of Tourism Development John Amaratunga who declared open the Sri Lanka Pavilion made use of the opportunity to inform and reassure the international tourism community that the unfortunate events that affected a few outskirts off Kandy were now history and that normalcy had been restored in the affected areas. 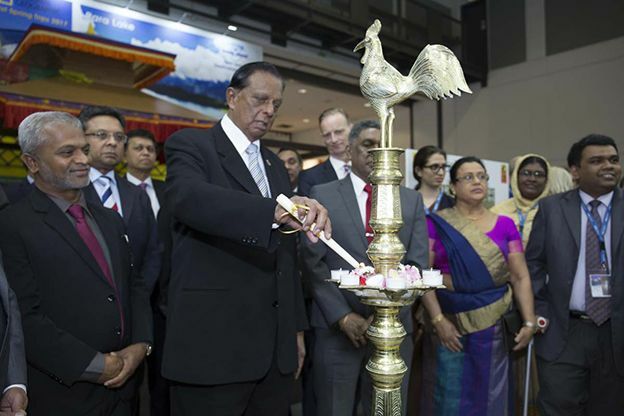 Sri Lanka Tourism Promotion Bureau showcased an eye-catching pavilion and created a business setting for 68 hoteliers and tour operators from Sri Lanka to network with the global tourism industry. Sri Lanka Pavilion was tastefully designed taking into consideration the interests of European travelers. The many diverse holiday experiences, tourism products and services available in the country were thematically exhibited at the pavilion in order to attract visitors of varying demographics and travel interests. The onsite attractions included ayurveda spa therapy for visitors while enjoying a cup of pure Ceylon tea served at the Tea Boutique located in the pavilion. Another highlight is a ‘selfie’ competition arranged in order to drive traffic to social media sites of Sri Lanka Tourism. Winners of the Selfie competition will be offered airline tickets and holiday packages by the private sector in order create greater awareness of the destination through digital media. 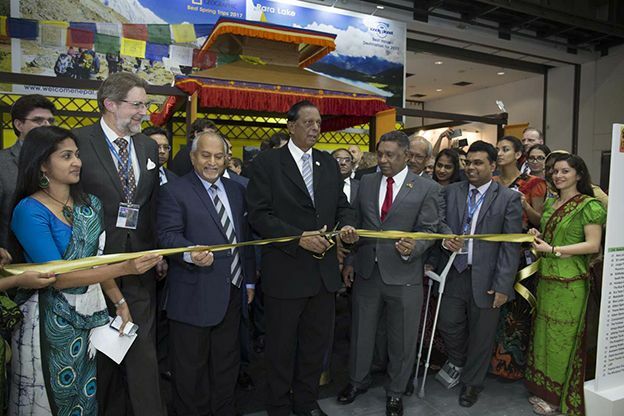 The Sri Lanka pavilion was declared opened by Minster Amaratunga along with Sri Lanka’s Ambassador in Germany, Karunasena Hettiarachchi, Managing Director of SLTPB, Sutheash Balasubramaniam, senior officials and members of the tourism industry of Sri Lanka. Director, Federal Foreign Office of Germany, Dr. Almer, Sri Lanka Honorary Consuls, Thomas Kiriwat and Nihal Samarasinghe were also present at the grand ceremony. Minister Amaratunga highlighted the importance of ITB for the tourism industry of Sri Lanka whilst complimenting the eye-catching design of the pavilion. The Minister said that Sri Lanka Tourism has drawn up a strategic plan to develop tourism based on a long term vision and UN sustainable goals. 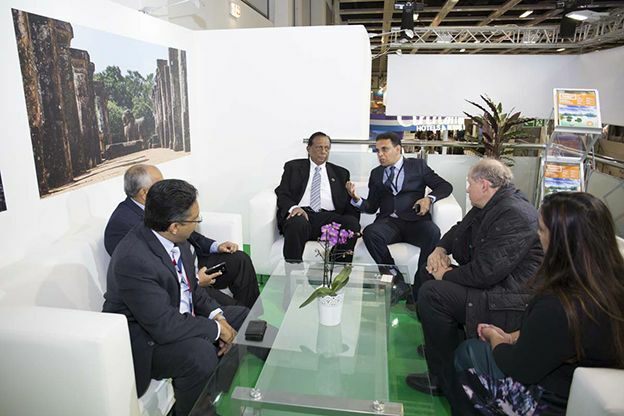 He invited stakeholders of Sri Lanka Tourism to join hands with the government to promote destination Sri Lanka. Ambassador Hettiarachchi pointed out the importance of the European market and acknowledged the support Sri Lanka has gained from the international community. Further, he emphasized that ITB Berlin will be beneficial in ironing out issues that affect our tourism trade; educating the consumers about Sri Lanka as a travel destination; establishing and strengthening bilateral relations with stakeholders; and sharing best practices with each other. Director of Federal Foreign Office of Germany stated that the German government is very supportive of the initiatives put forward by Sri Lanka particularly in promoting bilateral and economic relations. He called on Sri Lanka to have a greater focus on the European market, Germany in particular. 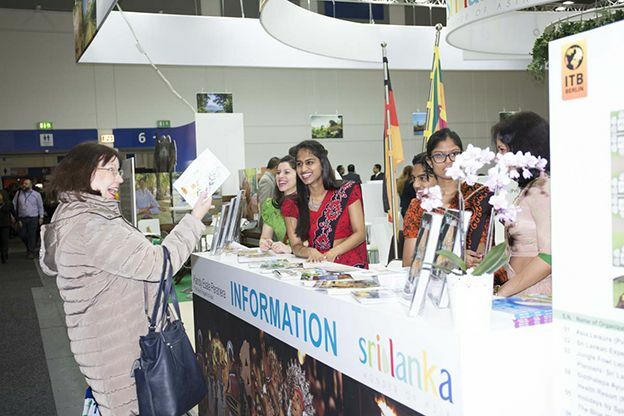 In the current context, ITB 2018 is an excellent event not only for developing business links and creating awareness of the destination but also to keep tour operators and media informed of the actual ground situation in Sri Lanka. ITB which began over 50 years back with 250 trade visitors has now grown to over 114,000 trade visitors and exhibitor space has expanded from 580 square meters to 160,000 square meters making it the world’s biggest tourism trade event.